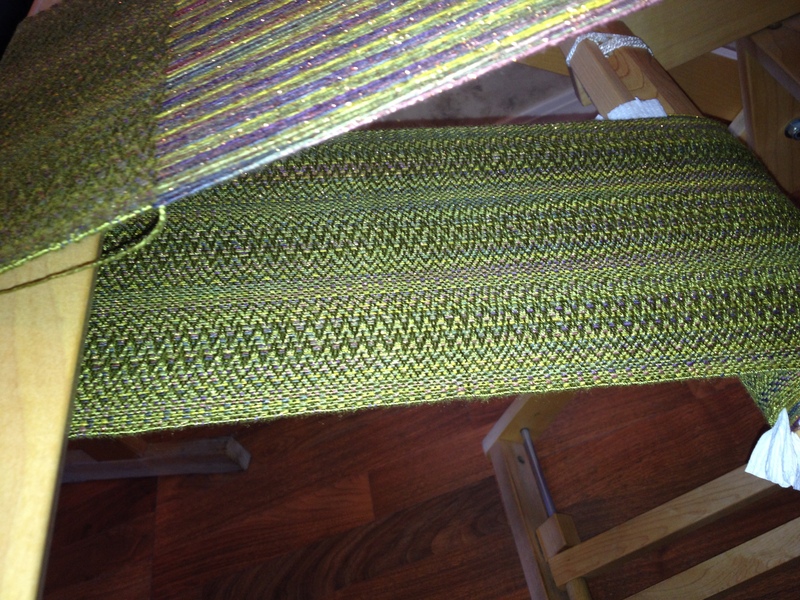 Over the years I have picked up quite a few good tips and suggestions that have helped to make my weaving better, but I have also read or heard a lot of tips that just did not work for me. So in reading the tips I have set to this page know that they are just suggestions. Each weaver has their own “weaving personality” and what might work for someone else just does not work for you. With that in mind, glean from the following words what works for you and throw out the rest. If you are having a little trouble with the fell line of your cloth (where you have laid the last weft thread across the warp in your weaving project) having a curve or “smiling” wave to it, here is a tip that I tried and it worked for me. When you are weaving, open the shafts you are ready to weave, throw the shuttle, but before you beat that pic in beat it with the shed open, then close the shed and beat lightly once more. This has worked very well for me. 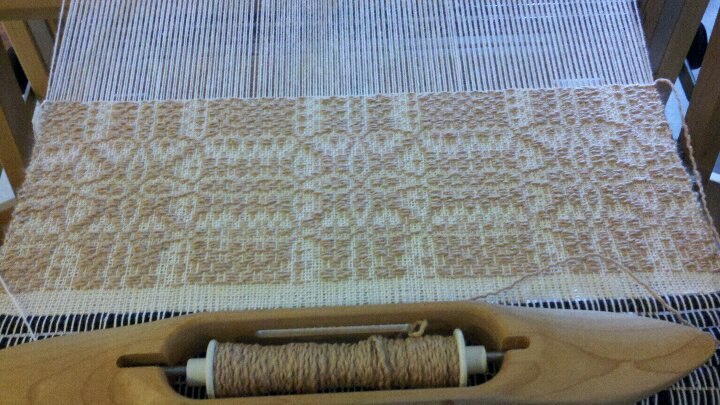 Another thing to check is that your warp has been put on with even tension, sometimes that can cause problems too. In the weaving process we always have “tails” of weft thread where we have started and ended the bobbins. 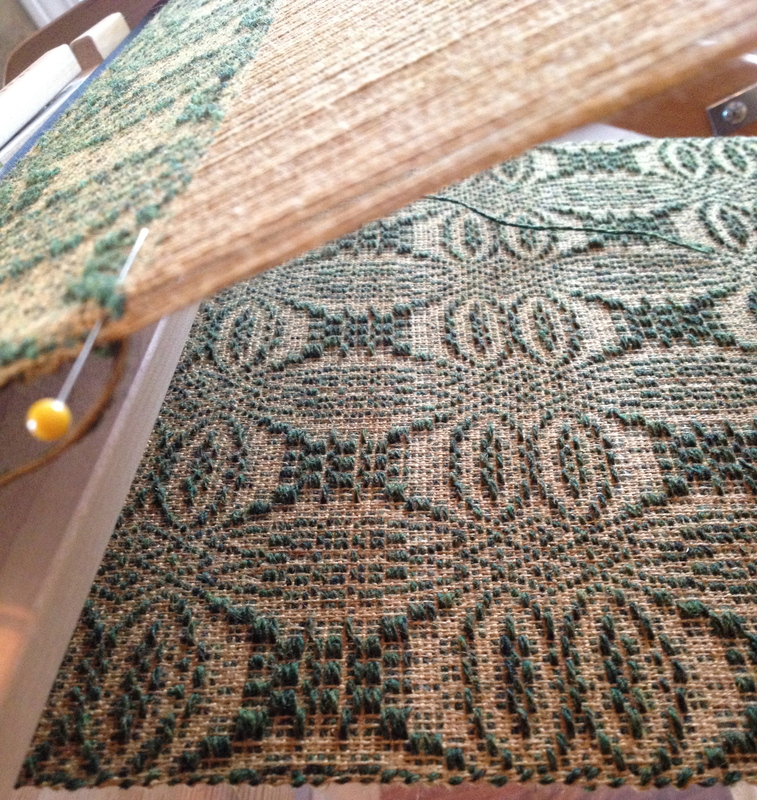 I always put the tail threads to the underside of the weaving while I am weaving and do not cut them off. I wait until the fabric is off the loom and I have done the finishing wash and dry, then I cut them off even with the fabric. In doing this, I have already evenly distributed the weaving threads in the finishing process and if the fibers are going to shrink slightly they will have already done so. This gives your finished cloth a clean finish.